User patches provides users with an integrated method of applying site-specific patches. This is often preferable to forking the ebuild in a local overlay, since the latter will require ongoing maintenance to keep up with the Gentoo tree. Thanks to EAPI=6, You can put your patches into /etc/portage/patches/<CATEGORY>/<PF|P|PN>[:SLOT]/ and those will by applied automatically when package is being merged. Do You use Gentoo/Portage on application servers? Think of applying your patches (that upstream developer do not want to include for some reason) automatically when new version is ready to be deployed. 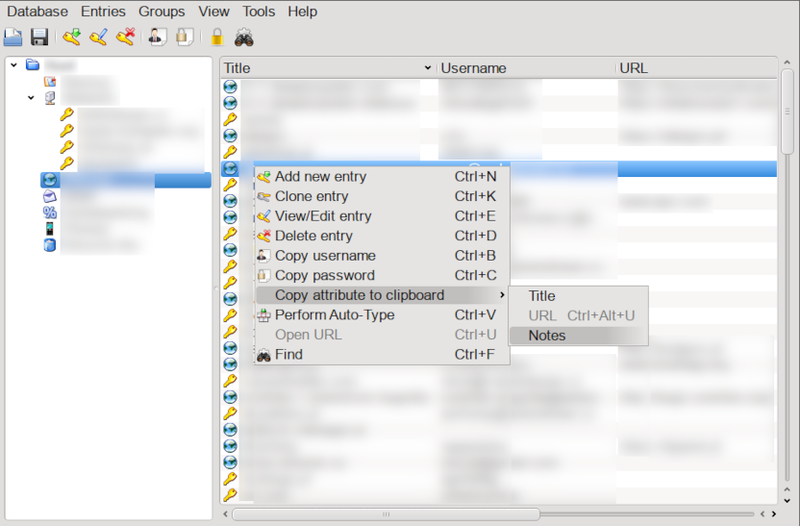 Keepassx is cross platform password manager I use as a local credentials (and other data) storage. It’s light interface is missing one keyboard shortcut important to me - copy notes. Let’s add this simple feature to GUI. Let’s create development environment in /tmp/keepassx-patch directory. We can use gentoo’s ebuild tool to download tarball with source code for us. In the end - clone unpacked source code directory for easy .patch file creation with diff. $ tar zxf /usr/portage/distfiles/keepassx-2.0.3.tar.gz -C .
For medium and big projects I advise to use SCM’s diff command (example: git-diff) to compare the file in your sandbox with the proposed change in the incoming change set. 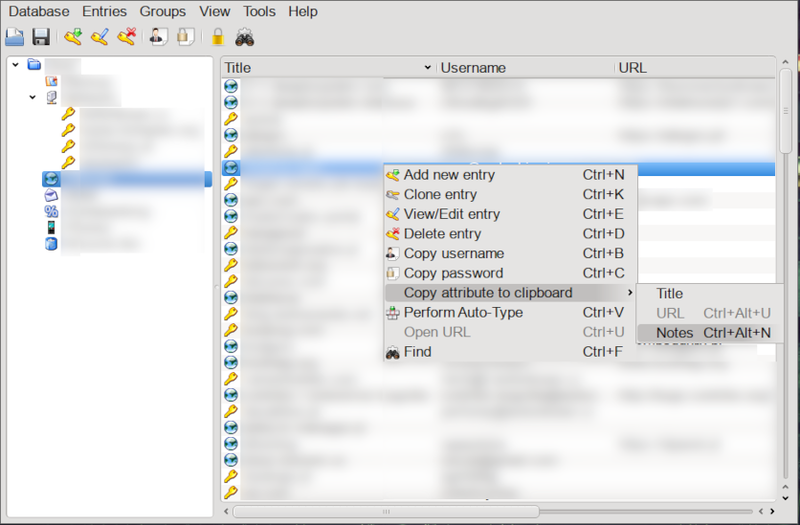 GUI shortcuts are defined in src/gui/MainWindow.cpp file. I will define mine as well. Source is ready. Let’s create .patch file. The simplest invocation is diff -u oldfile newfile, which will create a list of differences in unified format between oldfile and newfile. To operate over directories instead, use diff -urN olddir newdir. Now that the directory is ready, drop in the patches. Only files with .patch suffix are considered and they are applied in the order determined by their name. The patch is ready to be procesed by portage. Let’s confirm it. Compile and install keepassx again. Keepassx - after. New shortcut available.